E-cig DIY Tool Accessories Kit V3 is the latest version of the nebulizer tool. It is particularly suitable for DIY users, is a set of multi-functional electronic cigarette tools. Size of the box is 210*200*50mm. 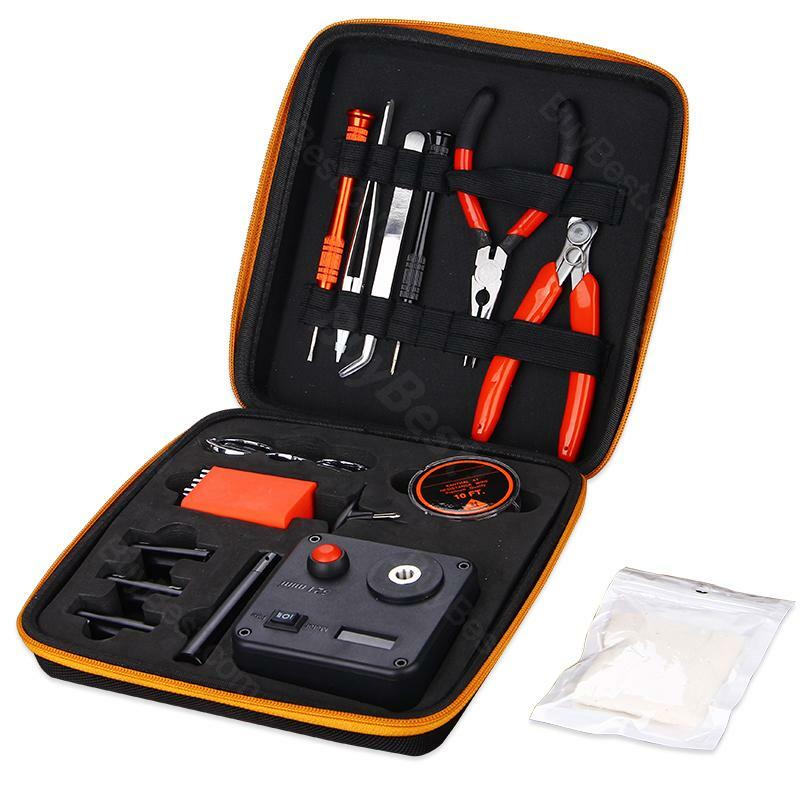 E-cig DIY Tool Accessories Kit V3 is the latest version of the nebulizer tool. It is particularly suitable for DIY users, is a set of multi-functional electronic cigarette tools. The E-cig DIY Tool Accessories V3 Kit is made of nylon and is extremely durable. Size of the box is 210*200*50mm. It comes with 1 x Resistance and Voltage Meter, 4 x Coil Jigs, 1 x Coil Deck Base, 1 x Scissors, 1 x 10ft KanthalA1 Wire, 1 x Ceramic Tip Tweezers, 1 x Stainless Tip Tweezers, 2 x Muti-functional Screwdrivers, 2 x Needle-nose Pilers,1 x Organic Cotton, 1 x T screw.